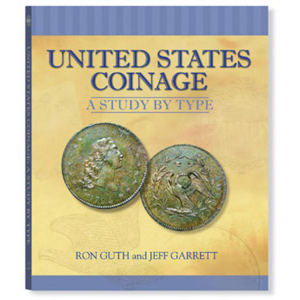 On September 29, Legend Rare Coin Auctions offered an array of spectacularly toned Morgan dollars in its Regency Auction XVIII in Las Vegas. 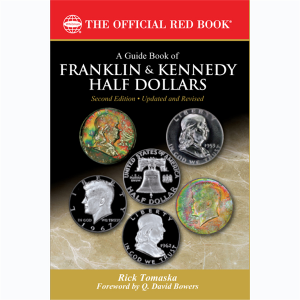 The 67 coins were divided into three groups: a general selection (lots 43–72), coins from the Flannagan collection (lots 92–109), and the featured Northern Lights collection (lots 73–91, presented in conjunction with Coin Week). 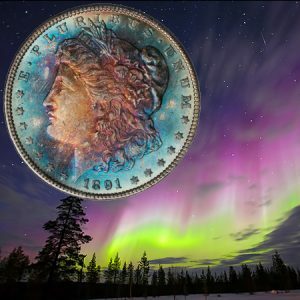 The Northern Lights collection sold well: 15 of the 19 coins exceeded expectations—only one (#76) fell short, and that just slightly. The estimated total for the collection ranged between $70,750 and $82,450; when the evening was over, part 1 of the Northern Lights collection had fetched $93,100. Star of the Northern Lights Collection: #91, an 1881 PCGS PF-67 CAC. With its excellent condition, low Proof mintage of 984, and “glorious obverse toning…layered in bands,” it brought $18,500. Many buyers left with bargains from the general selection of coins that went up before the Northern Lights. The total estimated minimum for lots 43 through 72 was $114,350, but the final amount realized was $76,500. Star of the General Selection: #52, an 1881-S PCGS MS-68 CAC. Predicted to bring $12,500+, it hammered at $22,000. The Flannagan coins, which followed in the wake of the Northern Lights selection, did well, besting their upper estimate of $60,300 with a final total of $69,275. Star of the Flannagan Selection: #100, an 1882-S PCGS MS-68 CAC described in the catalog as “Mother Nature’s Monster.” Expected to bring $15,000+, it realized $21,000. Honorable Mention: #95, which brought $6,250—more than three times its upper estimate of $2,000. 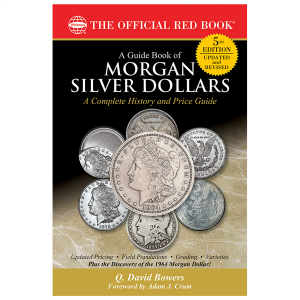 Scroll down for prices realized for all toned Morgan dollars in the sale.